B.C. Rich is making a collectors series of electric guitars that are graphically designed to match a twelve month calendar and a t-shirt for each design. We are selling these future collectors items at a price you just can't beat. Check out these latest specials! Our prices can't be beat! Tewksbury Music Center would like to offer you special prices on many of our items. Click here to see this month's sales flyer. Also check out our Dillion Guitars. We stock almost every model. One of our specialties is Jazz Guitars. 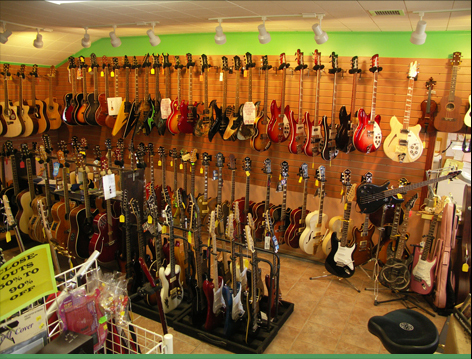 We have D'Aquisto, Gibson, Aria, Epiphone, Hohner and many more brand names. 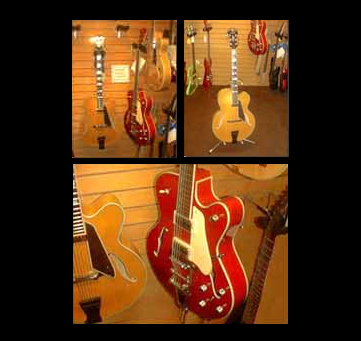 We also have regular specials on Rickenbacker Guitars. All of these items are available at the lowest costs around!